The Fairfield FFA Rural Soil Team is shown in this photo. 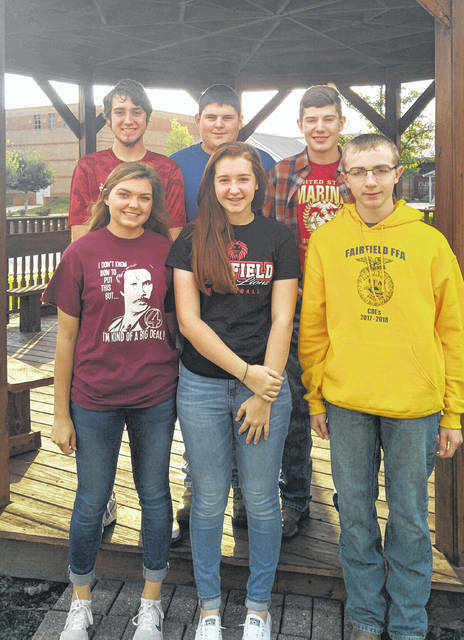 Back row, from left, are Trey Wilkinson, Caden Shoemaker and Thomas Fraysier; and front row, from left, are Jami Dailey, Kylie Fauber and Ryan Donahue. The Fairfield FFA Urban Soil Team is shown in this photo. Back row, from left, are Kohler Bartley, Spencer Crothers and Logan Rhode; and front row, from left, are Paige Teeters and Teigan Thackston. 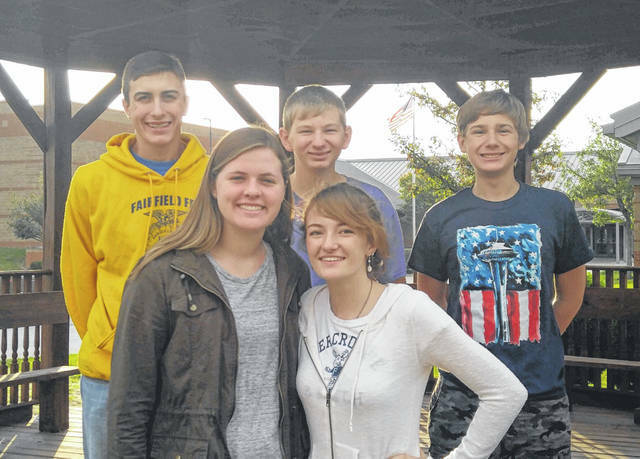 The Fairfield FFA club recently competed in the District Soil Judging CDE in Fayette County on Tuesday, Oct. 2. The urban soil team, which consisted of Paige Teeters, Teigan Thackston, Kohler Bartley, Spencer Crothers and Logan Rhode placed eighth in the district. The rural team, which consisted of Trey Wilkinson, Thomas Fraysier, Jami Dailey, Kylie Fauber, Ryan Donahue and Caden Shoemaker placed fifth out of 22 teams at district. They will be moving on to the State Soil Judging Contest to compete again.